Intimate relationships whether they be sexual, strictly friends, family or otherwise, are always a mirror to you and what you’ve got going on within you (obvious or buried/shadowed). Sometimes it’s a direct mirror and sometimes it’s a mirror of how far you’ve come and even still, maybe there’s a bit more left in you, to heal, to let go of, to release and shift through. Maybe there’s a perception shift to be had, maybe there’s an acknowledgment to accept. All things in your personal reality happen for a reason and the reason is a metaphor, a fractal that can be perceived from a plethora of angles depending upon how you look at it, from what level of consciousness you choose to perceive in the moment. All life and all reality that you perceive is but a mirror, a mirror to what you yourself expect, believe and accept as life itself or the relationships you create. At times we may create for ourselves, experiences where we ourselves have the choice of honoring the decision of another to stay within victim consciousness. This may come in various forms and it is part of the path for all who choose to leave the old, tired, lower-level of consciousness behind. This experience is in the path of those who choose to move forward because life itself is a mirror and the system will confirm with you multiple times: Are you sure? 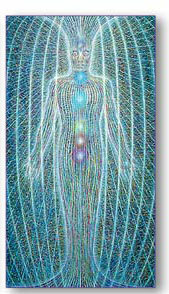 Are you sure you want to move past this threshold in your evolution as a soul incarnate? Are you really really sure? – it’s a precautionary measure embedded into the fabric of conscious life. This confirmation threshold is a failsafe measure put in place by the larger consciousness that we are, to ensure creation works in an orderly, predictable, organized fashion. If you yourself have ever played one of the roles in the triad of Victim Consciousness, Victim, Perpetrator and Rescuer…and we all have, there will be a point in your path of growth where a ‘mirror’ shows up for you and you reach a choice-point in your Now. A choice to allow the free-will creation of another being or to fall prey to, to fall back into the old habits that are Victim Consciousness, bouncing around from being a Victim to Rescuing others to Perpetrating another. It’s a mind-trap Dear One. And it’s there as an evolutionary challenge, a threshold for you to eventually move beyond and transcend, whether in this life or the next. Do you see it yet? All life in this system that your conscious awareness resides within and focused on, is a system of free-will creation and all that are living have a choice whether perceived in the moment as a choice or not, the fundamental truth remains and it is a choice. We choose to be controlled by others. We choose to bow down. We choose to allow others and life itself to effect us in a multitude of ways, until we don’t, until we make conscious choice in the face of the mirror, in the moment of standing in the choice-point of our own evolution as an individual as well as our larger Soul that is focused within. I cannot, I will not force you to see any of this. I cannot, I will not ‘will’ you to comprehend. For if I was to do so, I would be participating in the old and tired energy of Victim Consciousness as a Perpetrator to your individual free-will. All Beings and all Souls are infinitely powerful, eternal and unique. The only reason why one would think otherwise is because they themselves, as an individual Soul Incarnate remain within and participate still in the mind-trap that is Victim Consciousness, believing still that they themselves are small, broken in some way, a half-person seeking to be completed by another, their 'other half' or something else, something along the lines of not truly knowing who they are - Source Energy/God Incarnated. I do not participate in rescue missions and I refuse to consciously answer the call to rescue another. From a perspective that stems from within Victim Consciousness, this is seen as cruel and non-loving. From a perspective that has transcended Victim Consciousness however, this is seen and perceived as respect and Love, honor for the infinitely powerful creator that we all uniquely are. I haven’t always been this way and I talk about myself so as to be an example to relate with and nothing else. From a human perspective I grew up in a monetarily poor, abusive, manipulative and confusing environment. I chose this path and I chose the reality I was born into prior to coming in with my energy from the non-physical, that I was and forever remain as the larger part of that which I AM, that which we all are. I chose this life because I knew it would be a fun challenge and I knew I could be a great example to all who see me, who meet me and seek from me. I haven’t always seen life from these eyes I now have but one thing is for sure and that is that I AM empowered. I AM empowered because I made that choice over and over and over again. I Love my life and who I AM, all of it, past present and future. And you can too but you must choose. I will not rescue you. I will not succumb. I know the truth of who you are and I see you as infinite, powerful, eternal and unique. This is Love as I now know it. This is Love at a higher level of consciousness. Love loves all creation for Love is everything and all that is, all experiences, all creation, all possibilities, past, future and present. I am responsible for me, my individual self and no-one else. And the same goes for you at an individual level. To take this to the Unity level, the Oneness in All, I AM responsible for all that is because I AM that which I AM. And responsibility at this larger Unity level involves the ability to respond with Love, with seeing the truth of all conscious life in all experiences. The truth is that we are all uniquely, infinitely powerful, eternal and Divine. May the Love of that which you are pour over you, in you and fill you. And you to allow it to be that which it always has been and always will be. I love you. You are love. And I believe in You and the infinite creator you are, always have been and always will be.